As most knitters know, Wollmeise is incredibly hard to come by. And for me, it’s pretty much impossible since I have no desire to wake up for the middle of the night updates, which translates to early afternoon in Germany, where the yarn is dyed. A few weeks ago I happened to come across this skein on Ravelry just minutes after it had been put on someone’s destash page. I wasn’t even looking for Wollmeise! Someone else had already sent her a message saying they wanted it, but unbelievably they backed out and I got it. 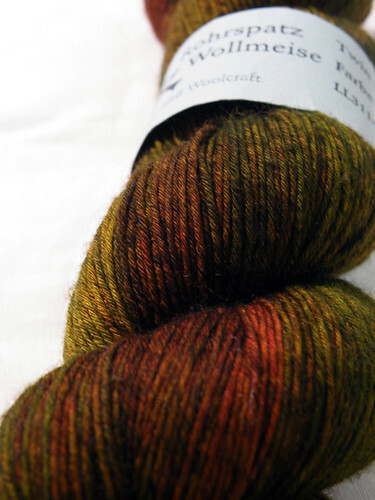 No plans yet for this skein of Spice Market, other than to admire its pretty fall colors.